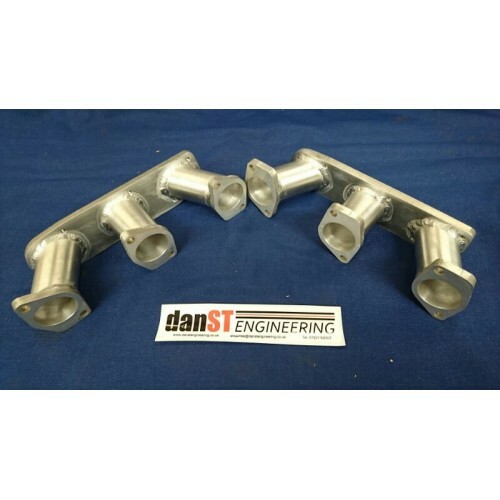 A Pair of inlet manifolds for fitment to the classic 3.0/3.2 Air Cooled 911 Engine. TIG welded in aluminium and fully internally ground to ensure optimum flow and performance. 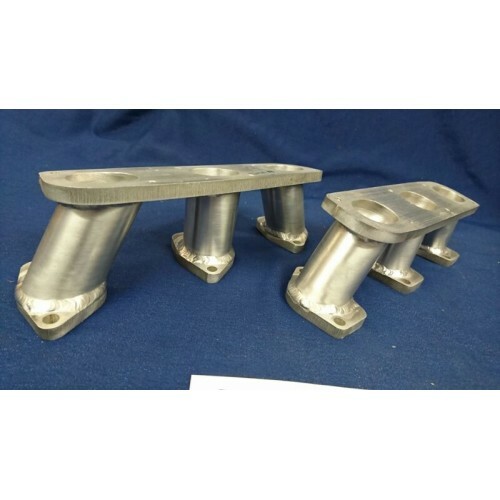 The manifolds are designed for mounting Triumph T955I (triple) throttle bodies, with the mounting flange at 10 degrees to provide a vertical mounting for the throttle bodies. 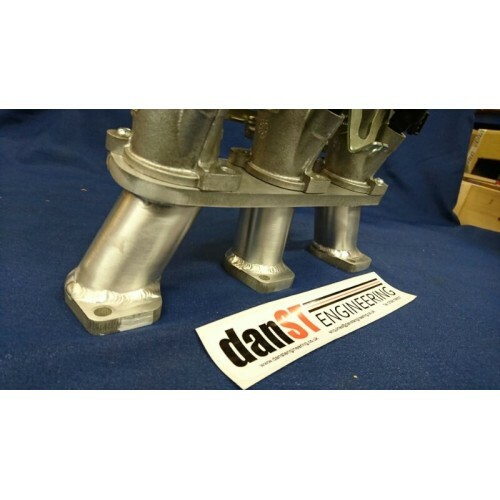 Ideal for anyone who has already sourced a pair of T955I Throttle Body banks for their 911 project. 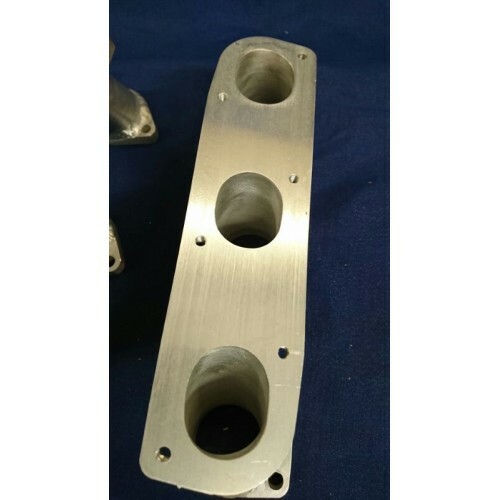 The throttle bodies can be used in their standard configuration on these manifolds making the installation/adaption very simple. Manifolds come complete with coolant connections (where applicable) as standard and a brake servo connection on the runner nearest the gearbox.